This year’s sessions will cover advances that have been made in all Serious Games markets - corporate, healthcare, education, visitor centers, and government/military. The major themes to be addressed by the conference include the value of games to develop creativity, critical thinking; how to use learning outcomes; analytics support; and games as a diversity education tool. New this year are multiple interactive sessions, workshops; opportunities for participation learning; and master class for those who want a fast start. Visit http://seriousplayconf.com/ for more information. Entries for the International Serious Play Awards, a program honoring outstanding mobile and browser games or simulations designed for training or other educational applications, are due May 1, 2016. Any K-12, higher or vocational ed; corporate, government/military, healthcare or museum game launched after August 1, 2015 is eligible. Universities may also submit student games, due May 15, 2016. Entrants must provide access to the game for up to five judges. 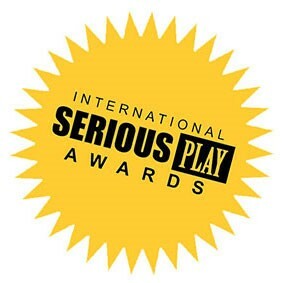 Winners will be showcased during the 2016 Serious Play Conference. Updated daily, the site covers worldwide news, interviews and case studies of companies using serious games for training and education and has started a directory of products as well as a calendar of upcoming conferences. You can sign up for a free weekly digest of industry news at the site. Launched at the end of 2014, the site is edited by journalist, Ronnie Dungan, who brings more than 25 years' B2B editorial and publishing experience to the venture, including positions with MCV, a leading European media covering video games, and its predecessor, CTW. 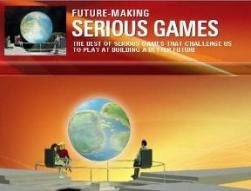 seriousgamesindustry.com is looking for content - product and company news, case histories and contributed articles. "The site is very much in its infancy so we need content, engagement and dialogue from professionals in the industry," Dungan said. "Our goal is to create something valuable to both providers and clients." Send press releases to editorial at seriousgamesindustry.com or just pop editors an email introducing yourself and your company. The Serious Play Conference, now in our 6th year, is a leadership conference for professionals who embrace the idea that games can revolutionize learning. The Serious Games Conference is produced by the Serious Games Association (SGA), an international organization for everyone in the Serious Games Industry. 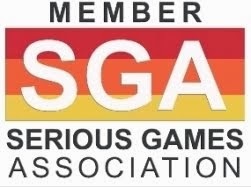 In addition to producing the annual Serious Play Conference, the SGA offers a Serious Games Directory; a webinar series featuring industry experts; and Serious Games News. The SGA is headed by Sue Bohle, Executive Director, and a former educator with more than 25 years’ experience in the game industry.